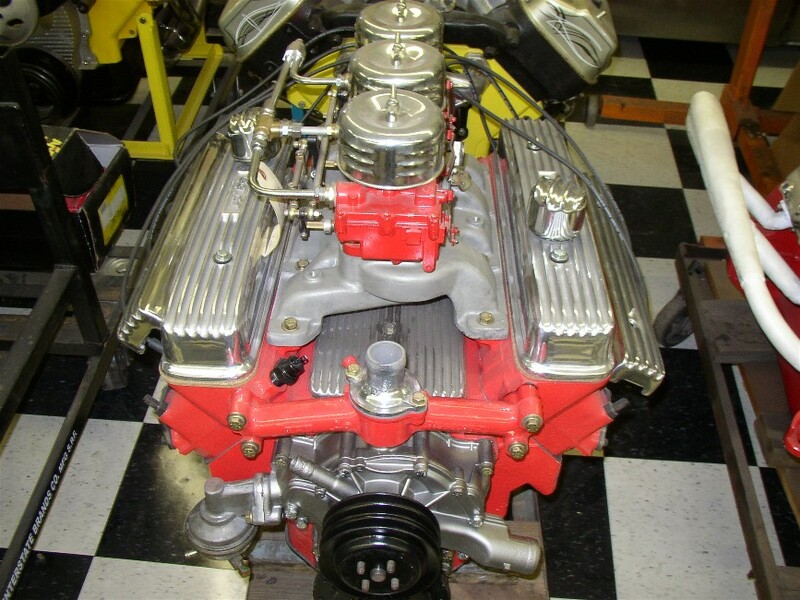 This 286ci Flathead has a Wilson Cam and is dressed out with rare E & S Heads and has an even more rare E & S Blast box Intake Manifold with two rare LZ Carburetors. It also sports a right-angle Vertex Magneto on the front as well as a 1936 Ford breather top. This engine has all the really neat stuff on it. This motor is going in an old school 1932 Ford Roadster. Hope to get pictures of the car with the motor in it SOON!! This nice 276ci Flathead has a mild Schneider Cam and is dressed out with polished Edelbrock Heads and an Edelbrock 3-deuce Intake Manifold with Holley 94 Carburetors. It also sports Red plug wires with Rajahs on a stock distributor. This nice setup is installed in a Black chopped 1951 Ford 2-dr hardtop. Paul has cruised this car to Nebraska and Texas and says it is a great cruiser with the new engine. This nice .030 O/S Stock Mercury Flathead has an Isky 400Jr Cam and is dressed out with a tall Tattersfield 2-deuce Intake Manifold with Stromberg 97 Carburetors with finned scoops on top. It has stock heads with Chrome acorn caps. It has a Mallory Distributor with NOS wires that goes great with the shiny black paint job on the engine. This sweet setup is installed in a 1932 Ford 5-window Coupe that Sam is already driving on the street. It sounds great too!! 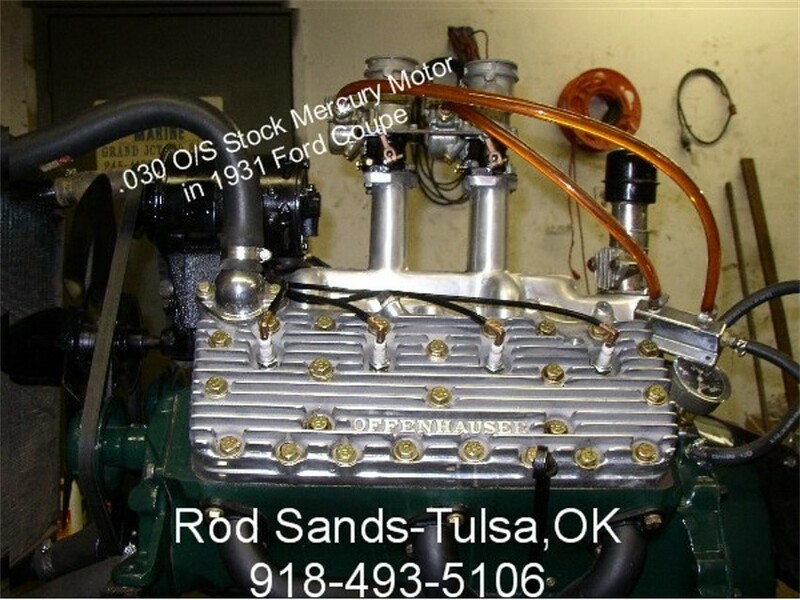 This nice .030 O/S Stock Mercury Flathead has an Isky 400Jr Cam and is dressed out with polished Offenhauser Heads and a polished 2-deuce Tall Weiand Intake Manifold with Stromberg 97 Carburetors. It has a NOS Distributor with NOS wires that looks great with the shiny dark green paint job on the engine. This nice setup is installed in a 1931 Ford Model A Coupe that Sam Rambo built on a 1932 Ford frame. This car is already on the street, but we haven't had a chance to see it yet. Heard it is a nice ride!! Thanks for sending us a picture!! Looks like a great ride!! 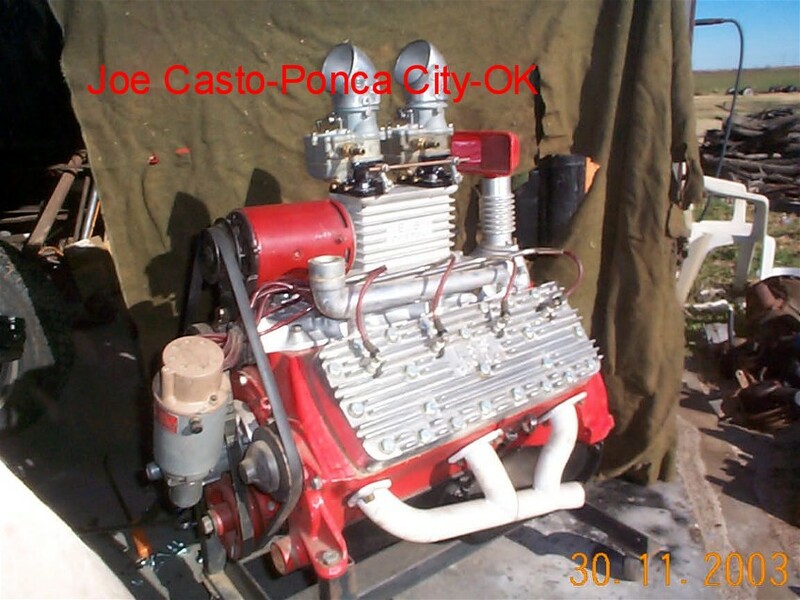 This great looking 276ci Flathead motor has Joe Abbin's Roadrunner Engineering Blower kit with two Strombert 97 Carburetors on top, and a set of Edelbrock Heads to dress it out. The motor has a mild Isky 87 Cam that gives it a nice sound with the blower setup. This motor has been installed in a 1940 Ford Sedan with the right attitude. Howard says it rides great and should make a great cruiser!! 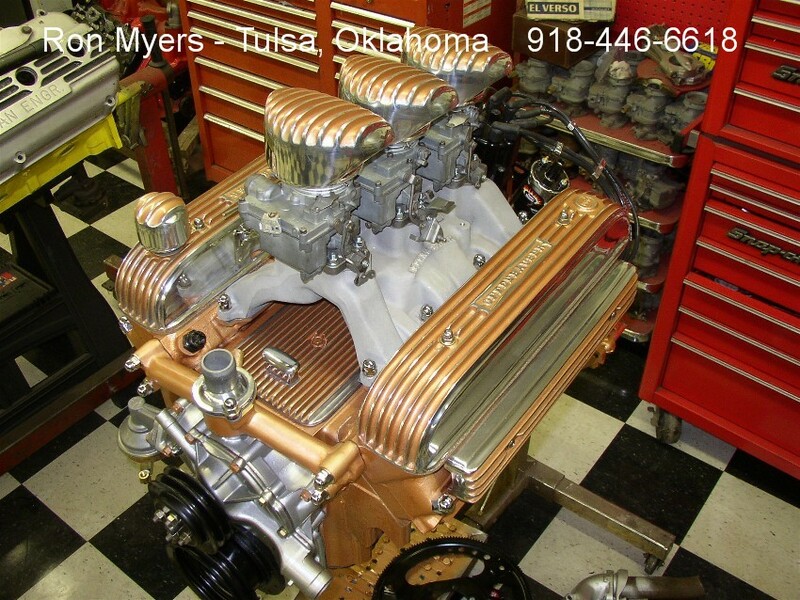 This stock 392 Chrysler Hemi motor is one great item to have sitting in your garage. Joe is installing it in a 1934 Ford 3-window Coupe. Pete and Jakes built a chassis for him. This fine motor has the Hotheads crossover setup and timing cover with BBC water pump conversion. The active 671 Blower gives it a radical sound, hard to believe it is a stock motor. Joe put Moon valve covers and Hilborn Style Finned air scoop on top of dual 4-barrel Edelbrock carburetors. The motor is backed by a Turbo 350 Transmission. Can't wait to see this one on the street. It definitely will get everyone's attention. 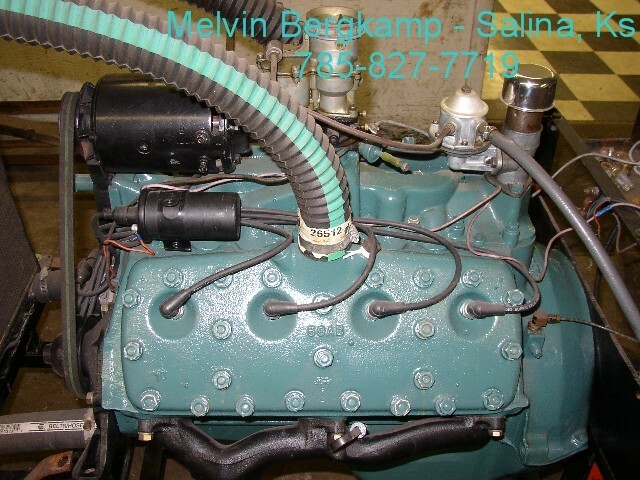 This nice little Ford V8-60hp is installed in a really fine Model A Sedan and runs great. It is bored .060 O/S and runs the stock 2-barrel Manifold with stock heads. This car is a fun driver to cruise around in. We expect to see it at some car shows and/or rod runs. This fine looking 401 Buick Nailhead has Offenhauser Finned Valve Covers and Spark Plug Covers, a 3-deuce Intake Manifold and some really cool air breathers on GM Carburetors. The motor has a mild thumper Neilson Camshaft and is going in a 1939 Ford 2 door. We know everyone is droolin' over this motor. The whole car is looking great!!! As usual, the Myers detail work is AWESOME!!! This nice little stock motor is going in a 41 Business Coupe and will make a nice restored ride. It has the stock heads and original 2 barrel intake manifold. Can't wait to see a picture of the car when he gets it on the street. This nice little 1953 8BA Mercury Flathead motor has Edelbrock Finned Aluminum Heads and 2 deuce Intake Manifold with 97's and nostalgia carb scoops. Converted to Crab-style Distributor and camshaft, this motor is in a early-style 1961 round track racer that has been restored. Really cute car. Thanks to Dwane for emailing us a picture of the completed car. 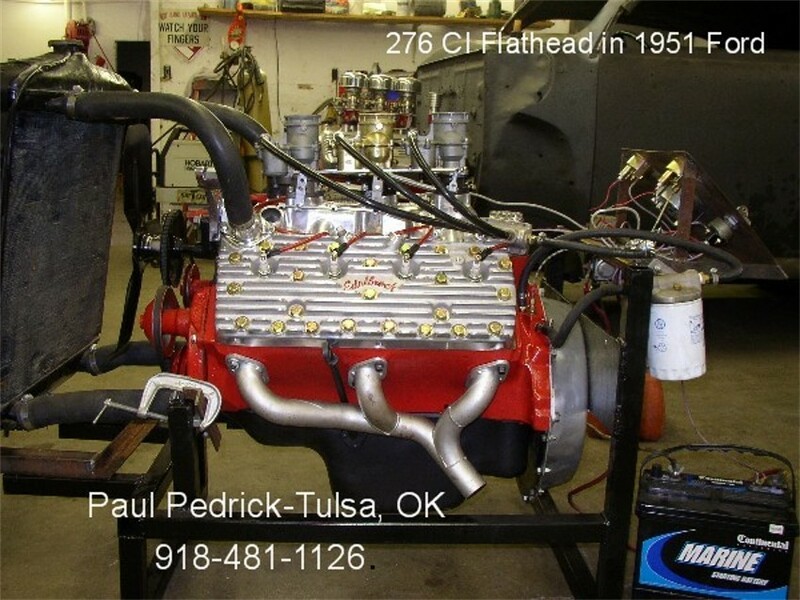 This nice 8BA 276ci Flathead Mercury motor has Aluminum Finned Offenhauser Heads and a 4Barrel Intake. It has a Wilcap Adapter to a C4 Transmission and is going in a 1939 Ford Coupe painted red with yellow flames on the front. It is great looking ride and we can't wait to see it on the street. Thanks to Richard for sending us the picture of the coupe. We were sorry to hear Richard passed away before the car was finished, but hopefully his son will finish it and enjoy the ride. This nice little 8BA Flathead Motor has a 4" Mercury Crankshaft and Isky 400Jr Camshaft running on Johnson Adjustable Lifters. Offenhauser Finned Aluminum Heads with a RARE 2-deuce Eddie Edmund Intake Manifold and Finned Aluminum Breather Stand make this a great little motor for a street rod. Not sure what this motor is going in but hopefully Greg will send us or email us a picture when he gets it done. 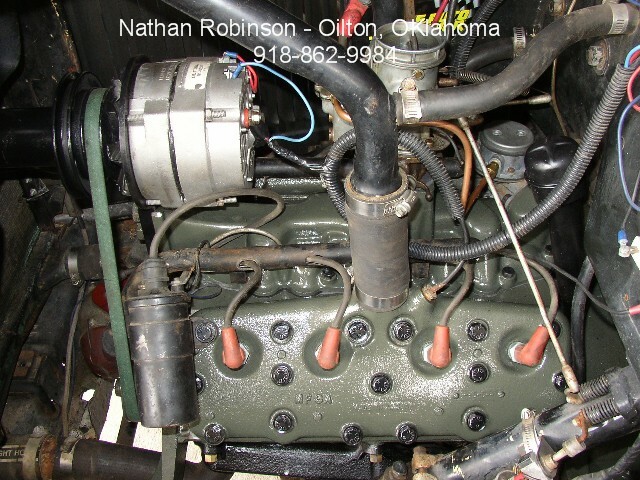 This nice 401ci Buick Nailhead Motor has a Mild Thumper Neilson Camshaft as well as Polished Finned Aluminum Valve Covers, Spark Plug Covers and Valley Pan. It has a nice 3-deuce Edelbrock Intake Manifold with Holley Carburetors and Moon-Eyes Finned Breathers. I can't wait to see a picture of the car he's putting it in! !